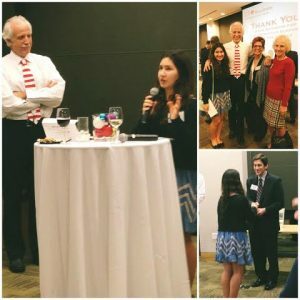 On December 9th, Hana Fineman and Gail Goldman attended CFO Roundtable’s Day for Change Grant Award Ceremony at their holiday reception. Grants greatly benefit our organization by allowing us to improve our facilities, but more so they benefit the girls that MGC serves. My Girlfriend’s Closet sends a huge thank you to Day for Change for their generous donation. The impact that it will make is immeasurable.